Drag Racing Crashes That'll Leave A Mark! 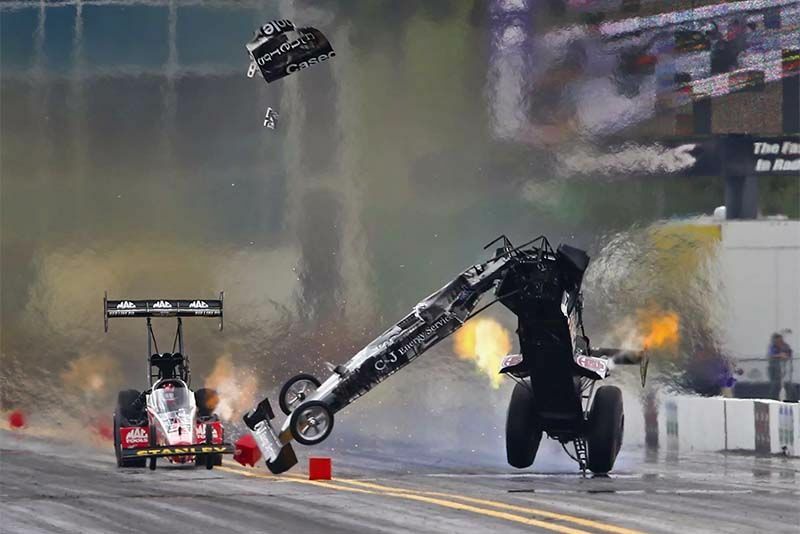 Home / Automotive / News / Drag Racing Crashes That'll Leave A Mark! Drag strips can be super fun – unless you're one of these unlucky few. That's right, blasting down a drag strip is really exciting with all that adrenaline flowing as you cross the line, especially when you finally nail that time you've been hunting for. But, it's not always smooth sailing, just ask these guys. And especially not when you're doing 400km/h in a top fuel dragster. Just imagine the panic as you lose traction, get airborne, slam into the wall ground or both, and then see giant super-hot flames pour into the cockpit. Scary stuff. And that's why these drivers command our respect. So, with that in mind, please check out the video below with highlights of some of the biggest crashes from the ANDRA Drag Racing Championship in Australia from a couple of years back. Video: Most Ultimate, Crazy And Epic Drag Races Of All Time! Put A Little F1 In Your Tank!